Statues of Buddha lined up inside a room, at the Wat Pho complex in Bangkok, Thailand. 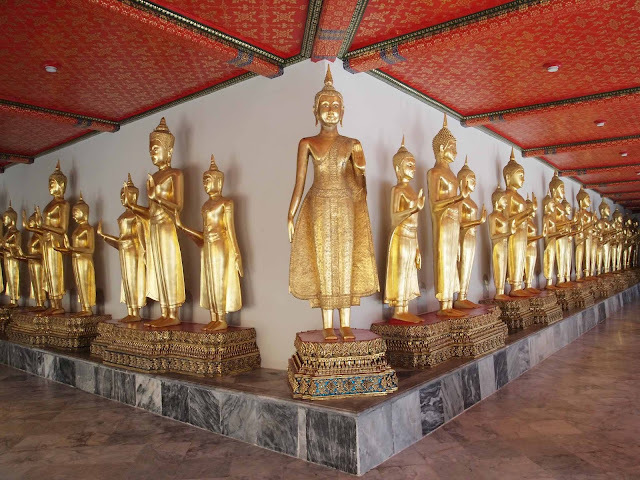 Wat Pho is also known as the Temple of the Reclining Buddha. It was founded in 1781.